HubSpot, Inc. (NYSE: HUBS), a leading marketing and sales software company, today announced financial results for the second quarter ended June 30, 2015. Total revenue was $42.9 million, up 58% compared with the second quarter of 2014. Subscription revenue was $39.3 million, up 58% compared with the second quarter of 2014. Professional services and other revenue was $3.7 million, up 67% compared with the second quarter of 2014. GAAP operating margin was (26.4%) for the quarter, compared with (30.5%) in the second quarter of 2014. Non-GAAP operating margin was (13.2%) for the quarter, an improvement of approximately 13 percentage points from (26.0%) in the second quarter of 2014. GAAP operating loss was ($11.3) million for the quarter, compared to ($8.3) million in the second quarter of 2014. Non-GAAP operating loss was ($5.7) million for the quarter, compared to ($7.1) million in the second quarter of 2014. GAAP net loss attributable to common stockholders was ($11.4) million, or ($0.34) per share for the quarter, compared to ($8.3) million, or ($1.44) per share, in the second quarter of 2014. Non-GAAP net loss attributable to common stockholders was ($5.7) million, or ($0.17) per share for the quarter, compared to ($7.1) million, or ($1.22) per share, in the second quarter of 2014. Second quarter weighted average common shares outstanding were 33.2 million compared to 5.8 million shares in the second quarter of 2014. The company’s cash and cash equivalents balance was $74.2 million as of June 30, 2015. During the second quarter, the company generated $1.6 million of operating cash flow compared to using ($2.3) million of cash in operations during the second quarter of 2014. Grew total customers to 15,839 at June 30, 2015, up 36% from June 30, 2014. Increased average subscription revenue per customer (ASRPC) during the second quarter of 2015 to $10,127 from $8,823 in the second quarter of 2014. "The first half of 2015 has been a transformative time for HubSpot," said Brian Halligan, Chairman and CEO. "We’ve seen tremendous momentum, from strong revenue growth and positive cash flow from operations to improved margins. We see our positive growth as a sign that our solve-for-the-customer mentality is working and that our marketing and sales products are in turn helping our customers grow their businesses." Based on information available as of August 6, 2015, HubSpot is issuing guidance for the third quarter of 2015 and raising guidance for full year 2015 as indicated below. Total revenue is expected to be in the range of $44.0 million to $45.0 million. Non-GAAP operating loss is expected to in the range of ($11.3) million to ($10.3) million. This excludes stock-based compensation expense of approximately $4.6 million and amortization of acquired intangible assets of approximately $26 thousand. Non-GAAP net loss per common share is expected to be in the range of ($0.34) to ($0.32). This excludes stock-based compensation expense of approximately $4.6 million and amortization of acquired intangible assets of approximately $26 thousand. This assumes approximately 33.9 million weighted common shares outstanding. Total revenue is expected to be in the range of $171.7 million to $173.7 million. Non-GAAP operating loss is expected to in be in the range of ($30.9) million to ($28.9) million. This excludes stock-based compensation expense of approximately $21.5 million and amortization of acquired intangible assets of approximately $96 thousand. Non-GAAP net loss per common share is expected to be in the range of ($0.92) to ($0.88). This excludes stock-based compensation expense of approximately $21.5 million and amortization of acquired intangible assets of approximately $96 thousand. This assumes approximately 33.3 million weighted common shares outstanding. Consolidated Balance sheets can be found in the official press release here. HubSpot will host a conference call on Thursday, August 6, 2015, at 5:00 p.m. Eastern Time (ET) to discuss its second quarter 2015 financial results and business outlook. To access this call, dial (877) 201-0168 (domestic) or (647) 788-4901 (international). The conference ID is 69239654. Additionally, a live webcast of the conference call will be available in the “Investor” section of the HubSpot’s web site at www.hubspot.com. Following the conference call, a replay will be available until 5 pm on August 13, 2015 at (855) 859-2056 (domestic) or (404) 537-3406 (international). The replay pass code is 69239654. An archived webcast of this conference call will also be available in the “Investor” section of HubSpot’s web site at www.hubspot.com. The company has used, and intends to continue to use, the investor relations portion of its website as a means of disclosing material non-public information and for complying with disclosure obligations under Regulation FD. HubSpot is a leading inbound marketing and sales platform. Over 15,500 customers in over 90 countries use HubSpot’s award-winning software, services, and support to create an inbound experience that will attract, engage, and delight customers. Learn more at www.hubspot.com . The tables at the end of this press release include a reconciliation of generally accepted accounting principles (“GAAP”) to non-GAAP operating loss, operating margin, subscription margin, expense, expense as a percentage of revenue, and net loss attributable to common stockholders for the second quarter ended June 30, 2015 and 2014. An explanation of these measures is also included below under the heading "Non-GAAP Financial Measures." This press release includes certain “forward-looking statements" within the meaning of the Private Securities Litigation Reform Act of 1995, including statements concerning our financial guidance for the third fiscal quarter of 2015 and full year 2015, our position to execute on our growth strategy in the mid-market, and our ability to expand our leadership position and market opportunity for our inbound platform. These forward-looking statements include, but are not limited to, plans, objectives, expectations and intentions and other statements contained in this press release that are not historical facts and statements identified by words such as "expects," "anticipates," "intends," "plans," "believes," "seeks," "estimates" or words of similar meaning. These forward-looking statements reflect our current views about our plans, intentions, expectations, strategies and prospects, which are based on the information currently available to us and on assumptions we have made. Although we believe that our plans, intentions, expectations, strategies and prospects as reflected in or suggested by those forward-looking statements are reasonable, we can give no assurance that the plans, intentions, expectations or strategies will be attained or achieved. Furthermore, actual results may differ materially from those described in the forward-looking statements and will be affected by a variety of risks and factors that are beyond our control including, without limitation, our history of losses, our ability to retain existing customers and add new customers, the continued growth of the market for an inbound platform; our ability to differentiate our platform from competing products and technologies; our ability to manage our growth effectively to maintain our high level of service; our ability to maintain and expand relationships with our marketing agency partners; our ability to successfully recruit and retain highly-qualified personnel; the price volatility of our common stock, and other risks set forth under the caption "Risk Factors" in our Quarterly Report on Form 10-Q filed on May 7, 2015 and our other SEC filings. We assume no obligation to update any forward-looking statements contained in this document as a result of new information, future events or otherwise. 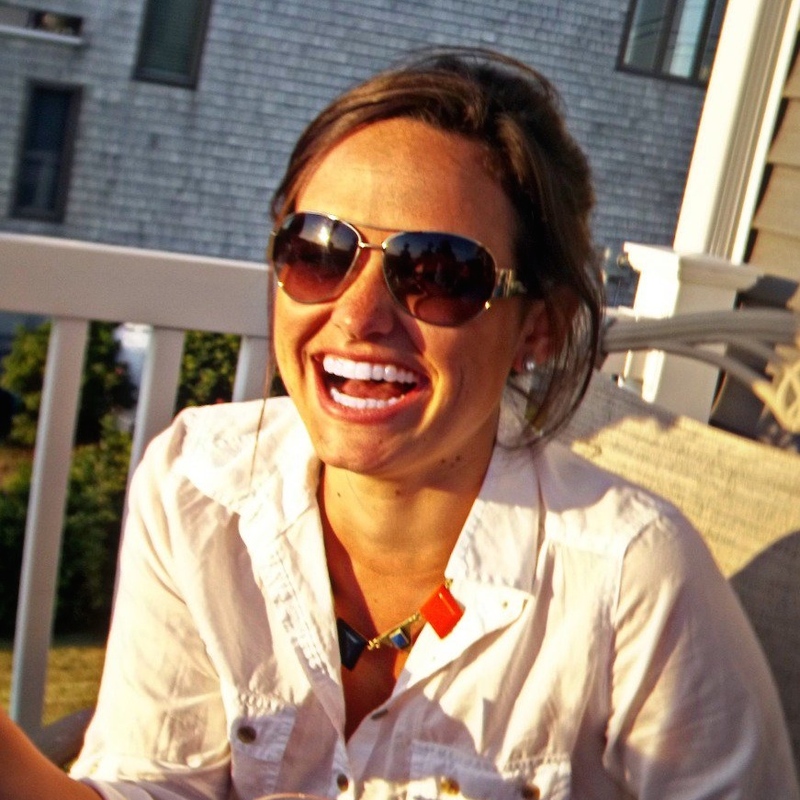 Laura Moran is the Media Relations Manager at HubSpot. In addition to all things marketing, she loves cooking, DIY projects, reality television and skiing.